Solar Power World is the leading online and print resource for news and information regarding solar installation, development and technology. Since 2011, Solar Power World has helped U.S. solar contractors—including installers, developers and EPCs in all markets—grow their businesses and do their jobs better. Solar Power World produces daily online news content, weekly e-newsletters, bimonthly print issues, regular webinars, podcasts, videos and social media. We have the largest engaged online audience of any solar industry magazine. Solar Power World publishes the annual Top Solar Contractors list, the most recognized listing of solar companies in the United States. Solar Power World‘s mission is to help U.S. solar PV contractors, installers, EPCs and developers grow their businesses and do their jobs better, starting today. Solar Power World (SPW) is a brand of WTWH Media LLC, headquartered in Cleveland, Ohio. To read about how solar suppliers, service providers, contractors and manufacturers can contribute editorial to Solar Power World, please click here. Kelly has been involved with publishing in the solar industry since 2011. She joined the Solar Power World staff in 2014 and enjoys working on contractor profiles and hearing about new projects. Her areas of focus include solar panel manufacturing, energy storage, the Contractors Corner podcast and the development of Solar Power World’s annual Top Solar Contractors list. Kelly graduated from Kent State University with a degree in magazine journalism and lives in Northeast Ohio. Kelsey joined Solar Power World in 2017. She has a degree in magazine journalism from Kent State University and covers inverters, solar policy and solar software for SPW. She spearheads the magazine’s Solar Basics video series and enjoys creating podcasts and other multimedia projects. She’s passionate about renewable energy and spends much of her free time outdoors, going hiking and birding. Billy started at Solar Power World in 2018. He holds a degree in journalism from Youngstown State University and was previously a reporter at newspapers in Northeast Ohio. His byline has appeared in The Vindicator, West Life News and the Pittsburgh City Paper. Billy is new to the solar industry, but he’s eager to cover stories on mounting, racking and tracking systems and business developments for Solar Power World. 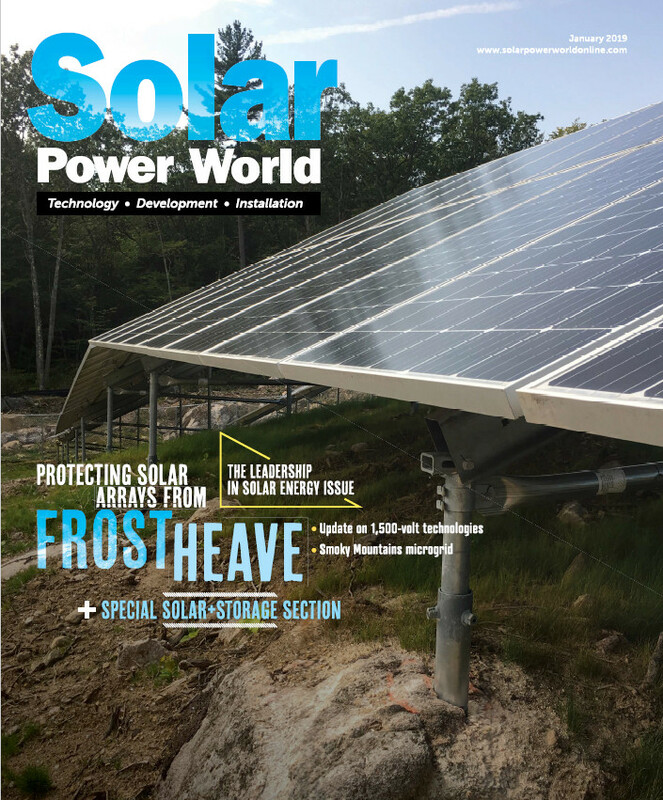 Solar Power World is an industry magazine, not a solar installer or solar product provider.